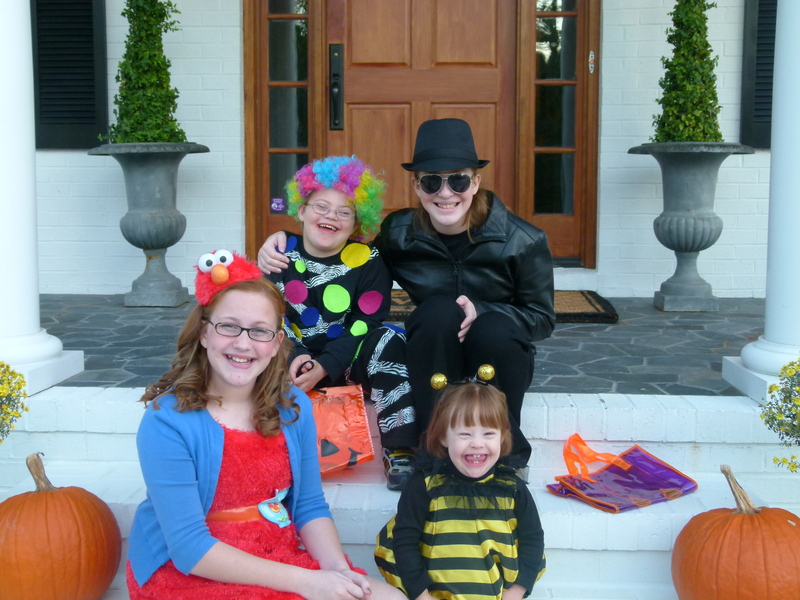 Happy Halloween from the Wrights! 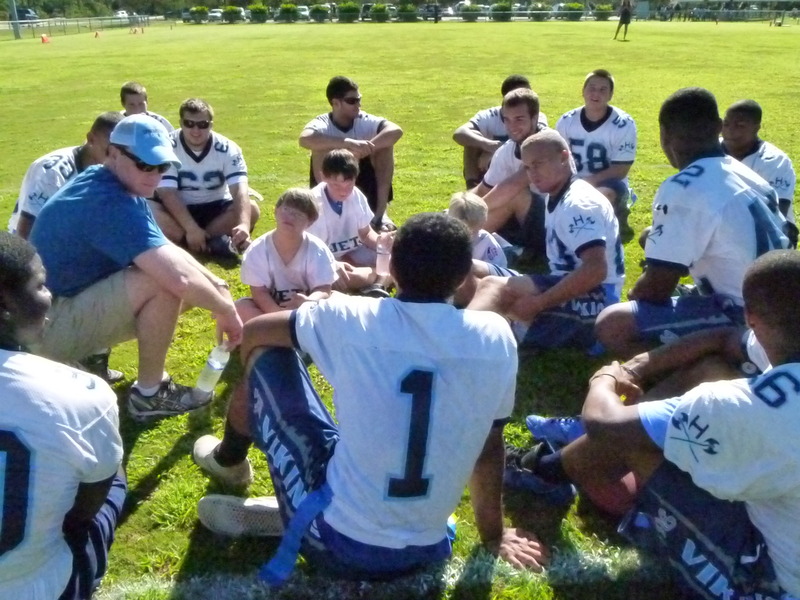 I have been a deeply committed member of the Hoggard Varsity football team for the past four years. Football is and has been a huge part of my life, but the incredible privilege I have had of getting to know and spend time with Beau and his friends has transformed the things I have learned in football and life into deeper meaning, joy and perspective. 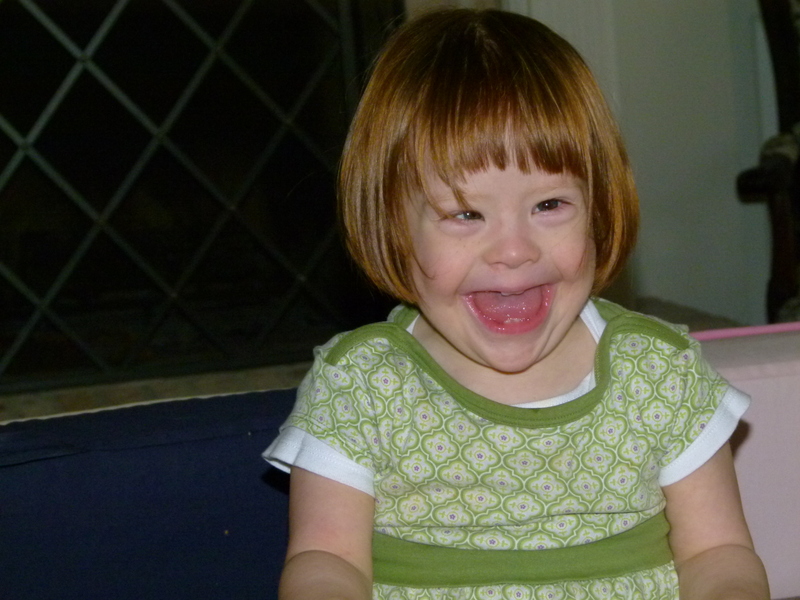 Beau was born with Down syndrome. His parents live daily with the hope and dream that Beau will be able to experience life to the fullest by being included and respected by his peers but mostly respected by a world that views people with mental and physical differences in a way that is less than positive. Beau and I attend the same church but I had never made the time to know Beau personally, however his stature, heart and genuine kindness have impacted my life in a huge way this fall. Beau has taught me that life is not about being perfect but it is about enjoying every minute and caring deeply about those around me. We are constantly being transformed by the people and situations we call life. Beau and his friends have transformed my life and the lives of my teammates and have reminded us that relationships truly make a difference in this world. I hope I live daily with the perspective of my friend, Beau, that life is good. I’m sure that over the course of the past few days, you have received few accolades for the comments you tweeted after the last presidential debate, and so today, as the proud parent of two intellectually disabled children, I would like to express my gratitude. Your decision to tweet the “r-word” was bold and brazen, without regret or remorse, which has left me feeling enraged while at the same time thankful. Thankful, that because of your actions, a national conversation has been reignited about the importance of respect. Respect for a population of people that have been marginalized throughout their lives and for their loved ones that advocate for their acceptance and inclusion on a daily basis. Thank you for self-appointing yourself as a spokesperson for a faction of our population that still practice prejudice and preach inequality. Thank you for empowering self-advocates like John Franklin Stephens, who rise above your comments and inspire all of us to be better people. And thank you for reminding me that while much has been done to raise awareness of the hurtful effects of the use of the “r-word”, there is still so much more we can do. 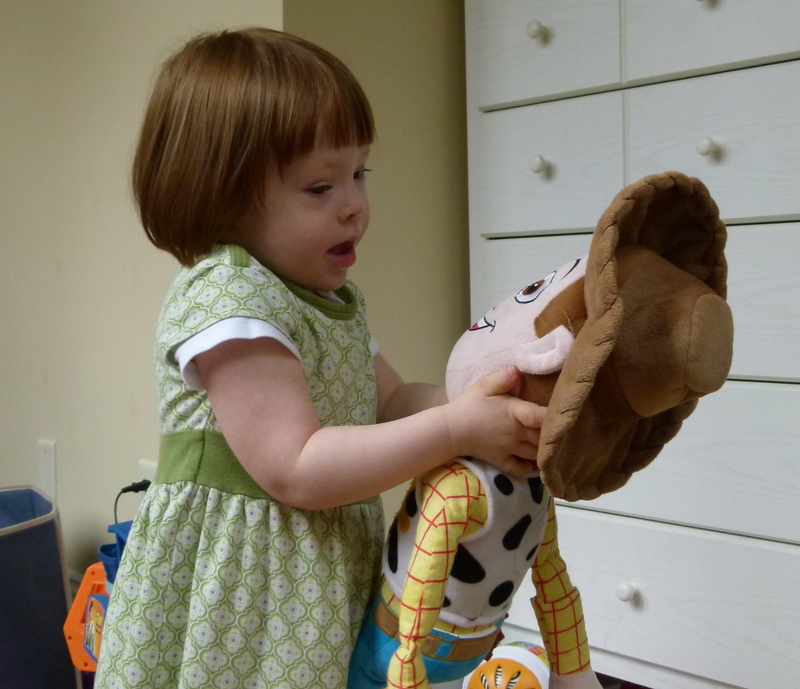 When we became the parents of two special needs children, we knew that life had some extraordinary moments in store for us. Being a part of the Audi Best Buddies DC Challenge was one of those moments. To be surrounded by a community of people that believe in the power of acceptance and inclusion and to serve as witnesses for the difference that power has made in our lives was something we will never forget. 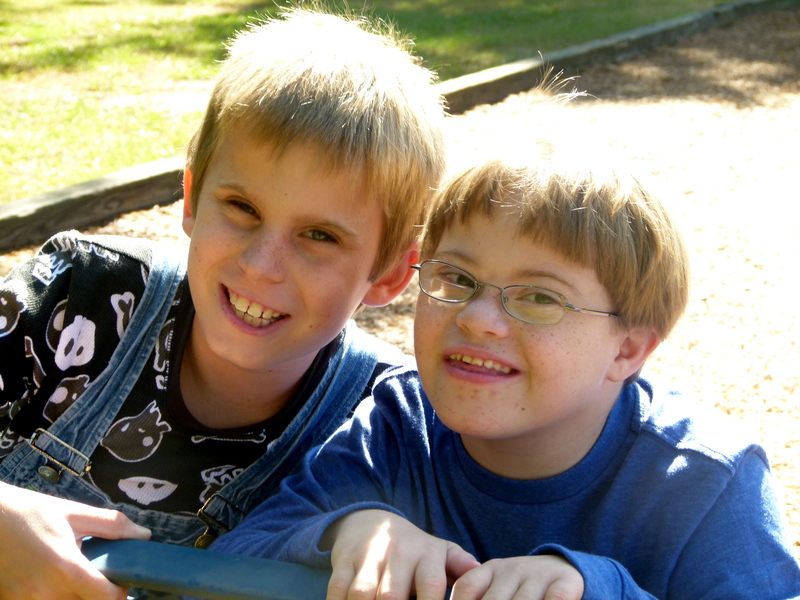 For those of you that are not familiar with Best Buddies, it is a nonprofit 501(c)(3) organization dedicated to establishing a global volunteer movement that creates opportunities for one-to-one friendships, integrated employment and leadership development for people with intellectual and developmental disabilities. The Audi Best Buddies DC Challenge is one of their annual fund-raising events. Our day began long before the sun rose. 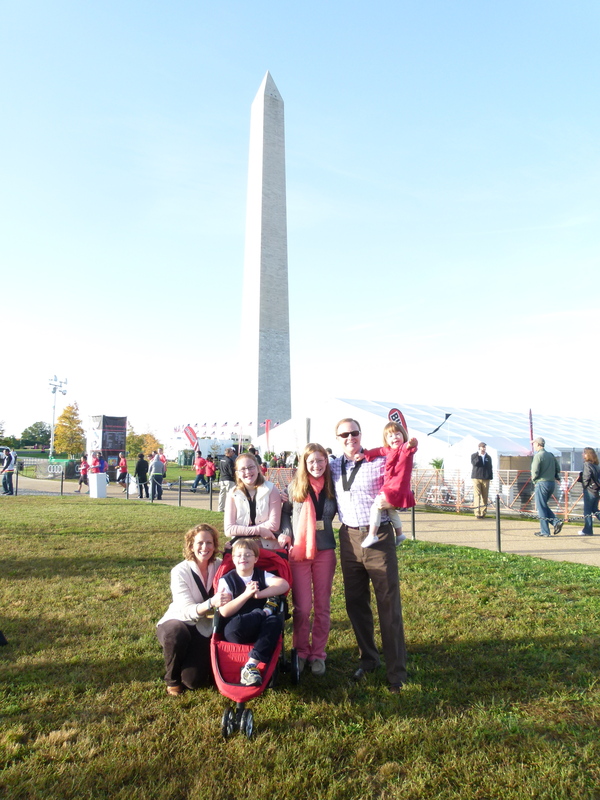 We arrived at the National Mall admidst thousands of athletes powering up for their races. Steps from the National Monument, we took to the stage and stood with Ben as he sang the National Anthem before both the bike and running races. I was overwhelmed with emotion as I listened to Ben sing, surrounded by our children and framed by the image of our National Monument in the background. From there, the celebration continued as we hit the dance floor with hundreds of students and their buddies. We cheered as buddy teams performed karaoke and competed in dance-offs. Bitty especially enjoyed being the center of attention on the dance floor. We were then transported to the race’s finish line at Morven Park in Leesville, VA. This historic home, set on more than 1200 acres served as the perfect location for our celebration. Throughout the afternoon, we cheered on tandem buddy teams of riders, visited with new friends including “Glee’s”, Lauren Potter and gold medal Olympian, Carl Lewis, and ate lots of delicious food. At the conclusion of the afternoon, we assembled for the final award presentation. Anthony K. Shriver, founder and chairman of the organization shared a heart-felt message with the audience and then invited Ben and Beau to the stage. As Beau stood to his feet and took to the stage he said, “Let’s do this.” And that’s just what he and his daddy did. It was something I will never forget…watching the two of them share the stage and share our message. Ben allowed Beau the last note of the song and it brought down the house. The evening concluded with a private concert from Sugar Ray and I can assure you that the Wright family shut down the party. 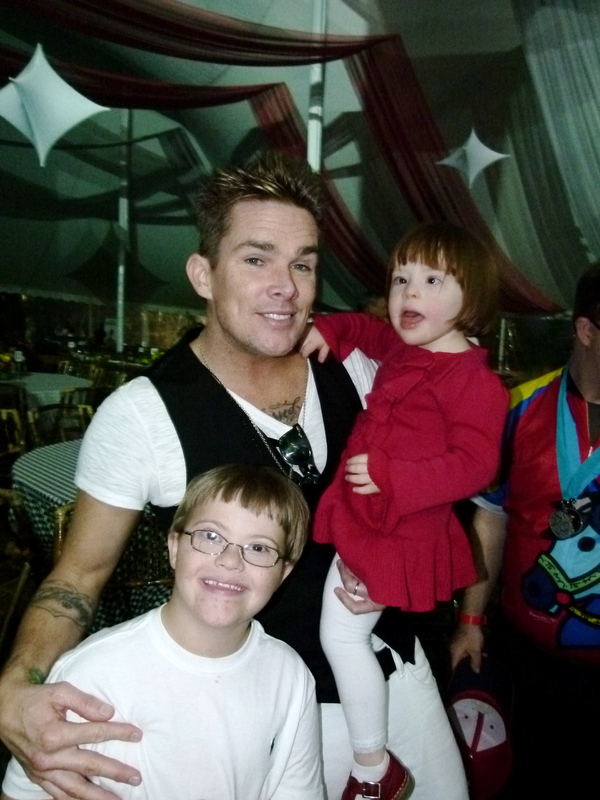 Perhaps the highlight of the trip for Beau was when lead singer, Mark McGrath, took time to speak to him after the concert and made him feel like a rock star, too! A few weeks ago, I received the most wonderful voicemail message. It wasn’t what was said in the message that brought on my tears of joy, but rather the voice on the other end of the line. The caller was one of Beau’s school buddies, John Daniel. By the time most children are 8 years old, they’ve gone on numerous play dates, been invited to countless birthday parties and even experienced a few sleep-overs. 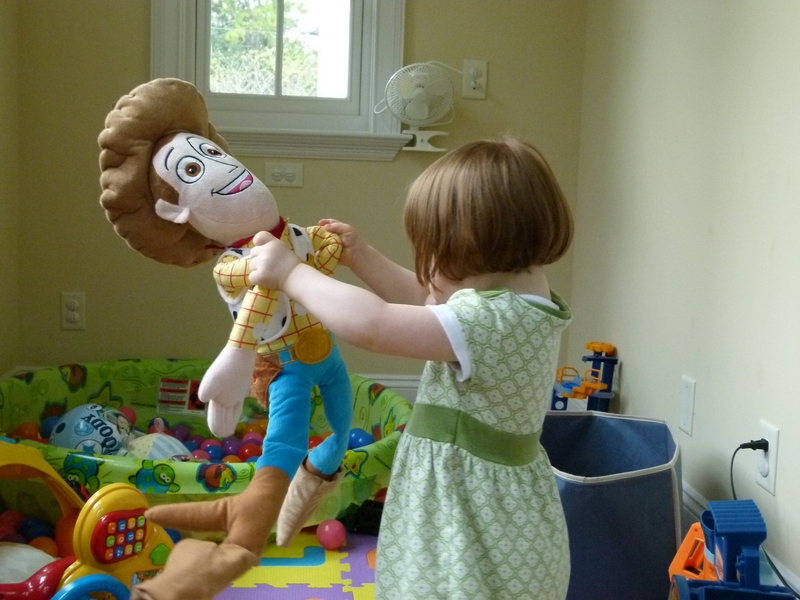 Over the years, I remember taking my older girls to one party after another all the while longing for a quiet Saturday afternoon. And yet, with Beau, most Saturday afternoons are quiet. With Beau, the world moves a little slower, which can make play dates, birthday parties and sleepovers a little more challenging. And while Beau has been blessed with many good friends who have included him in various ways, he has never really had a friend that moves at his pace…until now. 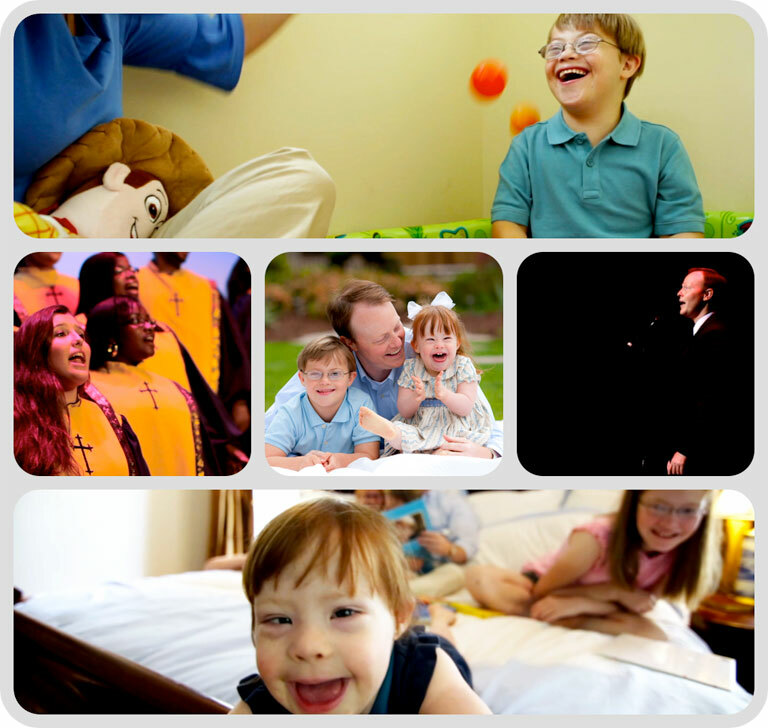 John Daniel is a special little boy with loads of personality, compassion and curiosity. A few years older than Beau, he looks out for him like a big brother, encouraging him to try new things and reminding him to follow the rules. And as a result of John Daniel’s courage to pick up the phone a few weeks ago, Beau and his buddy finally had their play date. I have thought all weekend about all the many wonderful stories I have to share about Beau and to figure out how to narrow it down seems impossible! 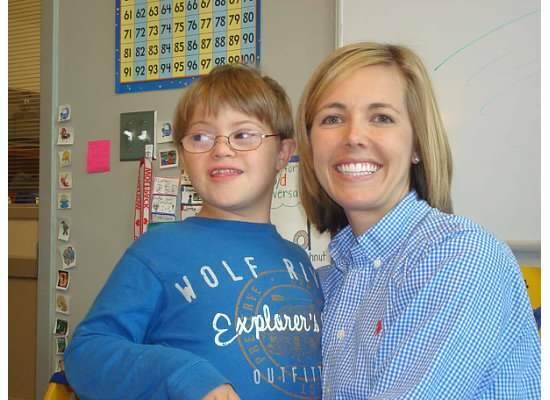 I feel so blessed to have had the opportunity to be Beau’s teacher…to be able to get to know him so well and become one of the fortunate people that Beau loved and trusted! Every day was a fun, exciting day filled with laughter! He always came in with such a sweet spirit about him…greeting every person along the way. I loved sharing in the joys of his success when he would finish his work and feel so proud of himself…when he would ALWAYS comfort a friend who was sad…when he would run errands around the school with independence (smiling from ear to ear when he came back and saying “I did it Mrs. Nay!”)…and one of my favorite things was that every Monday morning when I would ask each of my students if they had a fun weekend and to share one thing they did…Beau was one of the only students to then ask me “Did you have a good weekend Mrs. Nay?”…and always followed up with “Did Cambell have fun this weekend, too?”. Beau has such a caring heart and genuine spirit! He loved his teachers and friends and always made them feel special! Thinking back on all the funny, cute things Beau would say and do makes me wish I had kept a journal…to be able to remember all these things that made teaching him so much fun!! We all miss him so much at Winter Park!!! I know Beau and have watched Beau change the lives of the big burly Hoggard Football players that he interacts with on Saturday mornings in the Coastal Pop Warner Challenger Football League. I have seen his eyes light up as he takes to the field and immediately runs into the end zone for a touchdown. I have watched his face and the faces of his teammates and I have watched the faces of our Hoggard football players as well. I have seen what I have seen and it is hard to put it into words. I have watched my son, who tries to organize these players on a weekly basis have to tell the overwhelming response, that “No, we have enough volunteers this weekend, but I have put you down for next Saturday”. I have seen the core crew of football players that came out that first Saturday and continue to come out week after week in order to be a part of Beau and his friend’s world and not want to give up their spot for someone else to come out and participate, even though it means getting up early on a Saturday morning after a tough Friday night game. I have watched Coach Braswell come out every Saturday morning and listened to him state after the first outing “I thought we were the ones blessed most on Saturday”. Beau has shown us a side of our players that we might not have ordinarily seen had we not signed up for a volunteer effort such as this. They can’t wait to get out there on Saturday mornings and interact with Beau and his fellow teammates. As stated by one player, “It’s a great way to start your Saturday, it gives you such a great feeling and start to your weekend”. Beau has allowed these athletes to realize the impact that they can have on someone, the role that they play as mentors and role models and how far reaching that effort can go. So yes, I know Beau and have seen both him and his friends have such a tremendous impact on our Hoggard Football Program and have seen him and his teammates touch the hearts & soul of these “tough” Football players. Their lives have forever been enhanced and changed by this experience of “knowing Beau” and all you have to do is look at Beau on a Saturday morning to know that his has been changed also. It scares me to think that this Challenger League will end soon and that it will force some of them to have to let go. 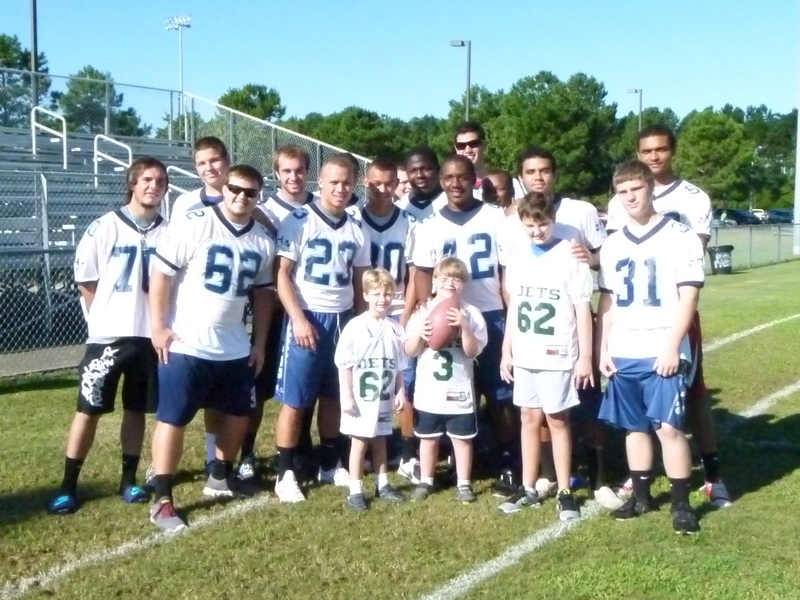 However, I think a new tradition has been started at Hoggard Football, a tradition of giving back and I think for many years to come, many others will have the experience of “knowing Beau” and other friends of Beau. I am thankful to Denise from Pop Warner who had the inspiration to start this league and for all of those Challenger parents who have allowed their children to participate in it. It has been an experience like no other and it is truly one that has touched the heart & soul of us all and this is all because we chose to “know Beau”…. I am very fortunate to know Beau and his family. I met Beau about 2 1/2 years ago when he came to Winter Park Elementary School. Beau is a little boy who is thoughtful, loving, caring and smart. There is alot that I have learned about Beau. He is an active little boy like any other little boy his age who loves to play football, basketball, loves to dance, sing and listen to music. I”m most grateful for the time that I spent with him at school. Through good days or bad. 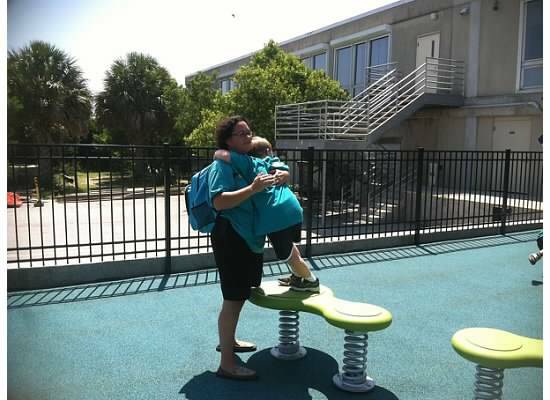 When I would have a rough day he would come and give me a big hug and would say, “I Love you Mrs. Poulos,” and he meant it. His big smile just melts my heart. I am so blessed that I got a chance to Know Beau and this beautiful family. I know Beau. How fortunate am I to say that. From the day he was born, I knew he had a special purpose. First of all, look at his parents. What amazing gifts they both possess: Ben with his beautiful voice, kind eyes and thoughtful words, and Amy with her beautiful voice, graceful demeanor and ability to accomplish what seems impossible. There was no doubt that this boy was going to be something extraordinary. I could have never imagined that he would be as spectacular as he has become. Moments with Beau stand still, like those childhood memories that resurface at significant times in life. He lives in the moment, and he takes you there with him. Whether he is lying at the edge of the water at the beach, tap dancing, having a tea party, or letting the wind from the bouncy house fan blow through his hair, he is the epitome of joy, and if you want to go on those journeys with him, he will take you there. Here are just 3 of the many things I know and love about Beau. Like no other person, Beau loves the beach. The sensation of sand, wind and water has never been enjoyed more by one person on this earth, I’m sure of it. From the time he gets onto the beach, until the moment it is time leave, Beau is covered from head to toe, immersed in it. He has to be reminded to eat and drink because he is so possessed by the elements. If you join him, you are right there with him, covered, immersed, charmed by his passion and joy. Beau has a signature move. Anyone that knows Beau, has seen him dance, and he has a some great moves. His signature move is a free spin with arms going to the music, tap shoes optional, of course. When I see anyone else do this move, I think of Beau. What a thrill it is to watch him in action. He fills the room with the type of joy that you feel on special occasions, but it’s all in a day for Beau. 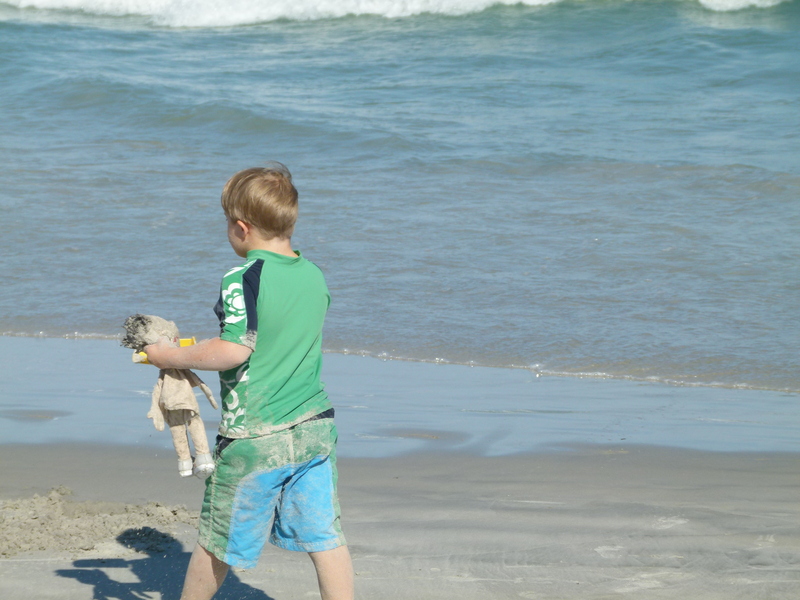 I spent a summer in Wilmington with my two boys, and the playdates that we had with Beau will go down in history. Lucas, the younger of my 2 boys, was in love with his little play mat at the time. We were staying in my father in law’s house that was pretty empty, so the boys had a lot of space to enjoy. We spent hours pretending that Lucas’ play mat was an island and crocodiles were surrounding us, and the only way out was jumping on lily pads. Our game was epic, and it never grew old. Even now, years since that summer, every time I see Beau he asks about Lucas’ island and our adventures.